Preserving Your Right to Trail Ride! Our Vision: To see Alabama Become the OHV Trail Capital of the Southeast. in Bramwell, WV was fun. Everyone who went had a great time! Another trip is scheduled for March 2018. Click Here to View and Download "A Trip Unplanned"
involvement that Cheaha Trial Riders play in TOPTRAILS. CTR is not in charge nor has any control or authority at TOPTRAILS. The Public Park Authority of the Cities of Lincoln and Talladega. Need to Find a Trail? 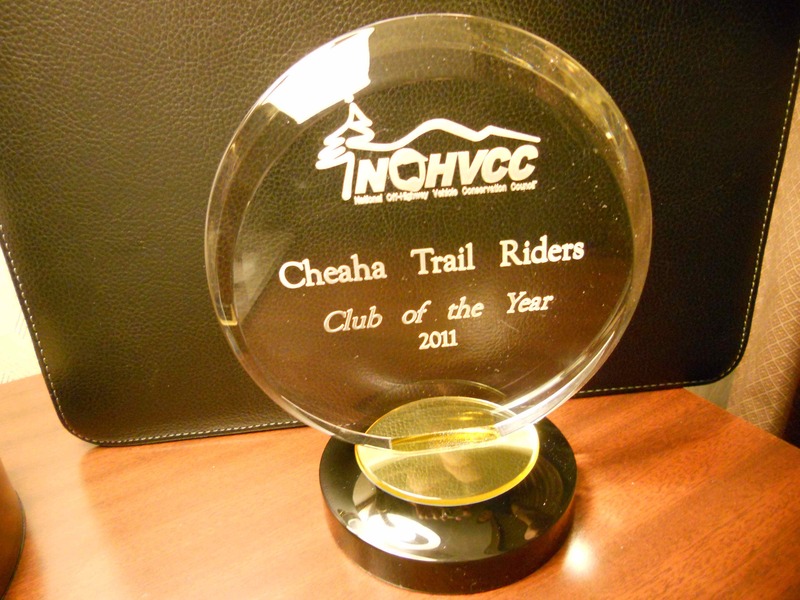 Cheaha Trail Riders Wins Again! 2011 Club of the Year! Wow! Can it get any better? What an honor and we thank AMA/ATVA! It Pays to be a Member of Cheaha Trail Riders!